SBS TV drama series “Phantom” officially debuted on May 30th, 2012. In the episode 2 aired on May 31st, 2012, So Ji Sub plays 2 roles, who is network detective Kim Woo Hyun who fights with evil crime, and also “fake Woo Hyun” who retaliates against evil force who caused the death of good friend. The flexible acting has been critically acclaimed by audience. Kim Woo Hyun (So Ji Sub) was persecuted to death by evil force. His good friend Park Ki Young (Daniel Choi), and decided to live with the identity of Woo Hyun and revenge for his friend. The surprising story plot firmly attracted audience’s attention. Ki Young goes to find Woo Hyun after learned that the death of Shin Hyo Jung is related to him, but almost died in the explosion. But the trial of strength just begins in earnest. Ki Young witnessed Woo Hyun walked toward death, and determines to transform into him, and performs a series of identity replacement. 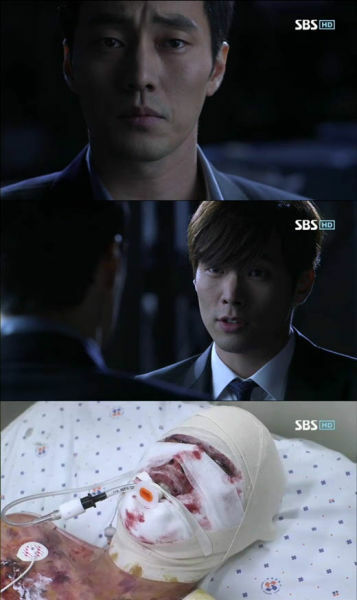 Because of face blasted, whole body was severely burnt, Ki Young takes the forged identity card of Woo Hyun to mislead others to think that he is Woo Hyun. Although Yoo Kang Mi (Lee Yeon Hee) knows that he is Ki Young and not Woo Hyun, but in order to find out the truth of the murder of Woo Hyun, she decides to help Ki Young, and substitutes his dental record for him, so that he can rebirth with the identify of Woo Hyun. 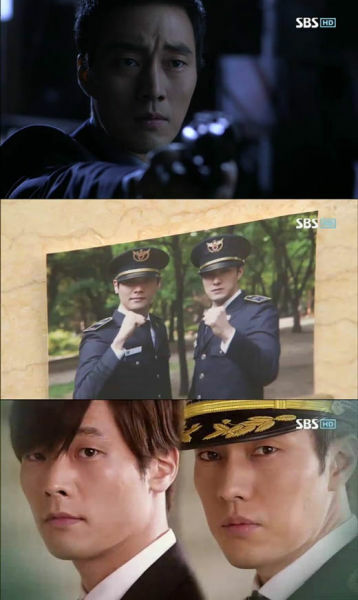 After the broadcast, audience commented, “So Ji Sub died so far, very shocked, turned out to be a person plays two roles,” “Although the acting of So Ji Sub who was cold yesterday is great, So Ji Sub today who vows to revenge for good friend is even more handsome,” “Although the same look but completely different person, look forward to how So Ji Sub going to interpret Woo Hyun who has complicated mind,” “Unexpected reversal, interesting story, and perfect acting of So Ji Sub, very looking forward to future story,” and so on.